What are chia seeds? Benefits and how to eat them, explained. 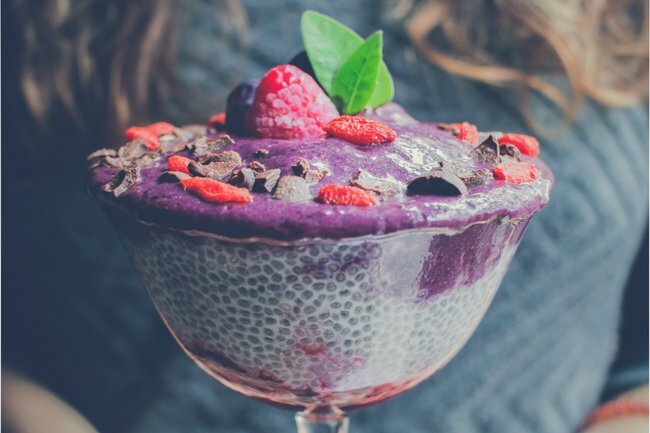 So...what are chia seeds and why is everyone so obsessed with them? We ask the experts. You’ve seen them in those cute little pudding pods at your local supermarket and sprinkled over glorious, colourful acai bowls on your Instagram feed. You’ve probably heard your fitspo friends talk about them and for some reason there’s a packet of them lurking in the back of your pantry (your housemate went through a phase). They’re quite literally everywhere – not just when you accidentally knock over the packet when scrounging around for spaghetti in the cupboard. With the above considered, we’re slightly embarrassed to ask this question but, erm, what actually…are chia seeds? And how exactly are they good for you? 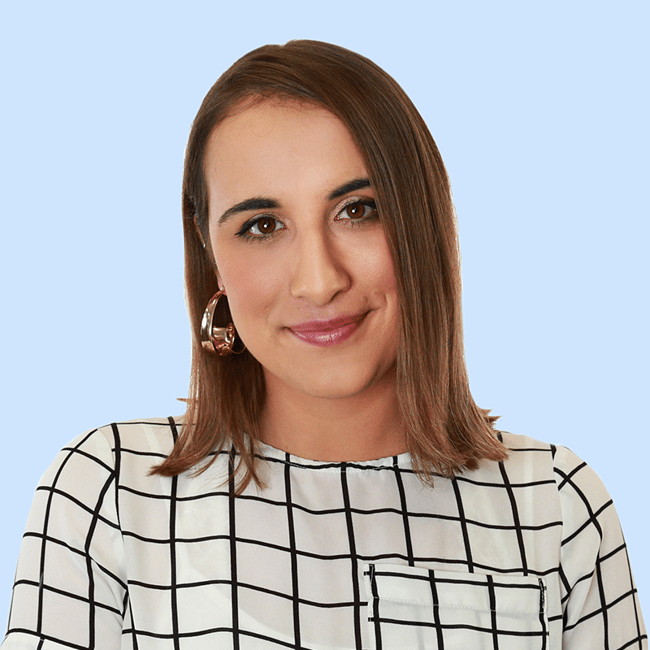 Well, so we can all be brimming with expert nutrition knowledge at our next brunch date with that friend who’s always in active wear, we approached a dietitian and naturopath to answer all our chia-related questions. Tanya Kumar, accredited practising dietitian at TherapyCare, clued us in on just where these tiny little seeds came from. Surprisingly, the chia plant comes from the mint family. “Chia is a flowering plant in the mint family, native to Central America,” Tanya explained. “They are a rich source of plant-based Omega 3 fats, high in fibre and minerals, and packed with antioxidants,” says Tanya. 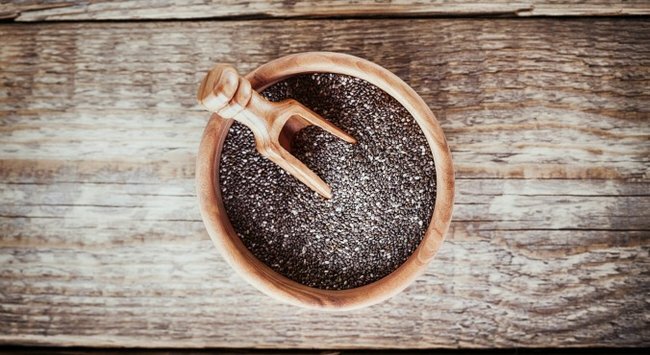 “Two tablespoons of chia seeds contains about 140 calories, 4 grams of protein, 11 grams of fibre, 7 grams of unsaturated fat, 18 per cent RDA for calcium, and trace minerals including zinc and copper. Woah – and they’re so tiny! Chia seeds are a rich source of plant-based Omega 3 fats Image: Getty. Do they have health benefits? Like anything of the health-food variety, Tanya says chia seeds in a balanced diet of someone with a healthy exercise regime can assist with disease prevention. "Chia seeds do not act alone to benefit human health, but may contribute to disease prevention when incorporated into a balanced meal and other healthy lifestyle behaviours including regular exercise. "I’m a firm advocate for holistic health," she added. "Chia seeds would be part of my recommendation to improve health, but in order to achieve real health benefits, you need to be willing to commit to eating the right foods consistently and exercising regularly." So...how do we eat them? "The taste of these seeds is bland which means you have a lot of room to get creative!," says Tanya. "The bland taste also makes it easy to sneak them into anything you like without affecting the taste. This is particularly useful if fussy eaters are in your care." Chia seeds can even be used as an egg replacement for your vegan friends, Tanya says. Chia Gel: Chia seeds absorb water quickly (up to 10 times their weight in liquid). Place 2Tbsp seeds in 1/2 cup liquid stir well, and cover. Allow to sit for about 15-20 minutes until the texture changes to a soft gelatin. Store in refrigerator for up to one week. Use this gel for smoothies, soups or gravies. 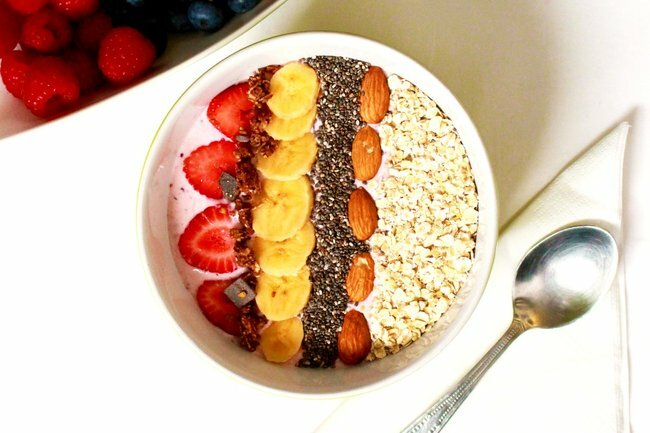 Chia Pudding (makes a nutritious breakfast or healthy dessert): Mix ¼ cup of seeds with one cup of liquid such as milk (almond, soy, or dairy). If you’re looking for a little more flavour, add a dash of vanilla extract. After whisking well in 30 second increments (30 seconds on, 30 seconds off) over five minutes, leave the mixture in the fridge overnight to set. Add nuts, fresh fruit, coconut flakes and cinnamon the next morning before serving. You can pop whatever you want on top of your chia pud for a healthy dessert. Image: Unsplash. Chia Egg (great egg-alternative for those wanting to bake a vegan dish): Simply add 1 Tbsp chia + 2.5 Tbsp of water, whisk briefly and and leave to rest for five minutes. Use this instead of eggs to make your baked products egg free. Topping: Simply sprinkle chia seeds over, or mix them into your meal. They makes great extras on breakfast cereals, yoghurt, bread, salads, soups and smoothies. So while Tanya has given us the low-down on exactly why chia seeds are so popular, and how we can cook with them ourselves (thank you! ), Sydney naturopath Victoria O&apos;Sullivan adds that they may not be for everyone. She warned that people with auto-immune conditions may have adverse reactions to chia seeds. "There is one downside to chia," Victoria says. "They are high in plant lectins, which are essentially plant proteins that are like a built in safety mechanism to stop animals from eating the plants. "Auto-immune conditions like lupus, rheumatoid arthritis and ulcerative colitis lectins (there are over 100 auto-immune conditions) may cause the immune system to become more hypervigilant by mounting a defence against these plant proteins which may aggravate symptoms. "To give you an example I worked with a client who had Graves disease (autoimmune thyroid) and within 20 minutes of eating cashews she got the bulging eye symptom (exopthalmus) associated with the condition. The cashews were the only variable." This, Victoria says, is a "great example" of how one person&apos;s nutritious superfood can be someone else&apos;s potential poison. But for those who don&apos;t have any issues eating chia seeds - Victoria seconded that they are a rich source of minerals like calcium, magnesium and maganese, and are high in essential fatty acids. She added they can also have benefits to your digestive system. "They are anti- inflammatory and are also a rich source of plant protein. They are also good for "lubricating" the digestive system so are good for constipation particularly where you feel like you are not emptying properly," she said. She also said the fat content of chia seeds makes them a good blood sugar-regulator, and a good option for those looking to shed fat. "The high fibre content along with the fat content are also good for regulating blood sugar levels which in turn is great for metabolism and fat loss. The best way to have them is soaked chia pudding style. That way the oils are released and it will make you feel nice and full." So there you have it - everything you need to know about the world&apos;s most food-fashionable seed.